Point Washington homes for sale in Florida feature magnificent, moss laden oaks & magnolias; a historic white steeple church & Eden Gardens State Park. The Park is home to the Wesley Mansion; recently voted “The Prettiest Porch in the South” by a Southern Living reader's poll. Pt. 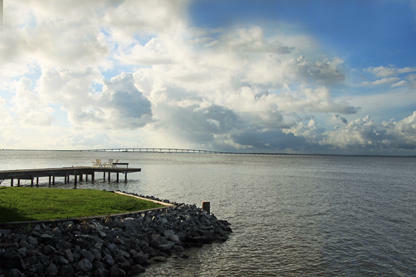 Washington is situated on the shores of peaceful Tucker Bayou & the Choctawhatchee Bay & this area is ideally suited for full-time & second home owners. Home styles range from Florida Cottage & traditiona homes. BOOKMARK YOUR DREAM POINT WASHINGTON HOME TODAY! Quietly tucked away from all the buzz of 30A and its beautiful white sand beaches, just a couple miles north, is an area known as Pt. Washington (or Historic Point Washington). It’s very popular with permanent residents because of its proximity to businesses and shops of Scenic 30A for those of us lucky enough to live, work and play at the beach as full-time residents. Point Washington, FL homes for sale exist in a uniquely different atmosphere from 30A’s beach towns, with areas of beautiful Cypress Wetlands, old growth live oak and magnolias; you’ll feel like you’re living a Mark Twain novel. Eden Garden State Park is a hidden gem with the old Wesley Mansion as its centerpiece attraction. Abundant gardens set beneath massive, graceful old oaks are filled with camellias and azaleas that show off their brilliant colors in late winter and early spring each year. 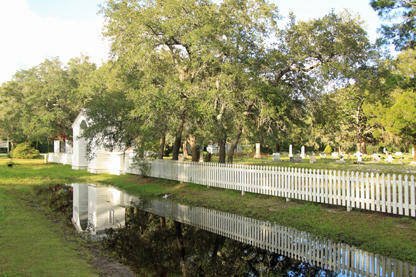 This Florida State Park is one of the most popular wedding venues in the area as well. Point Washington real estate and architectural styles range from traditional southern, ranch, cottage and bungalow homes. 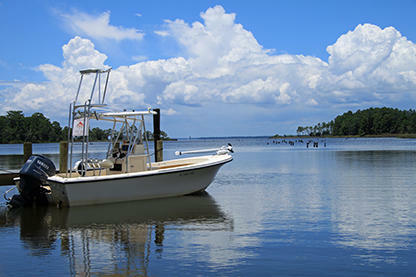 With its northern borders along the Choctawhatchee Bay; Pt Washington, Florida is truly an outdoor enthusiast’s dream paradise. Many of the waterfront homes include boat docks for direct water access to the bay for boating, canoeing, kayaking and stand-up paddle boarding. Feel free to contact us anytime to learn more about the gorgeous Point Washington, FL real estate. Davis Properties of Northwest Florida are based along the magnificent 30A coast, and would love nothing better than to help you make a home here as well.